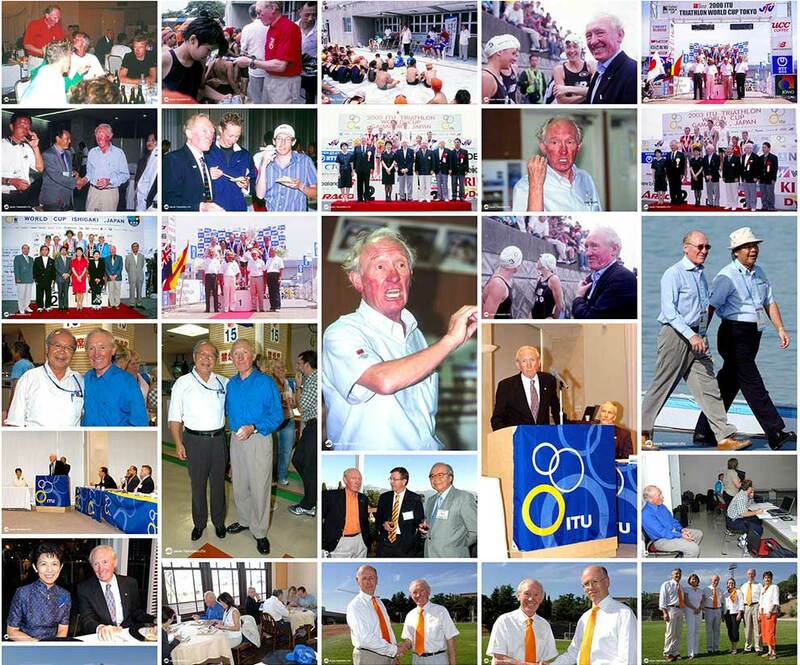 We learned in a deep grief that Mr. Les McDonald, Honorary President and Founding President of the International Triathlon Union (ITU) passed away last night. His whole life was full of passion devoting himself to the development of the sport of Triathlon. He wouldn’t save time traveling around the globe to disseminate his philosophy on this sport and enlightening people with his passion, from the founding stage of the international federation till the very last days when he was seen at the venues. Without doubt, he was the man who drove us all to integrate in efforts to found Triathlon national federations across the world. He served as a driving force campaigning for the inclusion of our sport of Triathlon in the official Olympic program, as successfully witnessed in the 2000 Sydney Games. His passion to get all the people with and without disabilities “engaged” in our sport bore a fruit as Paratriathlon that also made a debut at the Rio de Janeiro Paralympic Games in 2016. For us, the Japan Triathlon Union, Les was not only a very special person but an immeasurable compass guiding us along the right way in developing the sport of Triathlon this far in Japan. Allow us to join in the very many people around the globe in a prayer for the peaceful rest of the spirit of our father, Les McDonald, and our heartfelt condolences go to his beloved wife, Monique and his family. He will be dearly missed by us all.